A combination of hard maple wood legs with fiberglass dowels makes this the most versatile surveying tripod on the market today. Fiberglass dowels are unique due to their structural plastic polystyrene core, and will not shrink or swell under changing weather or temperature conditions. 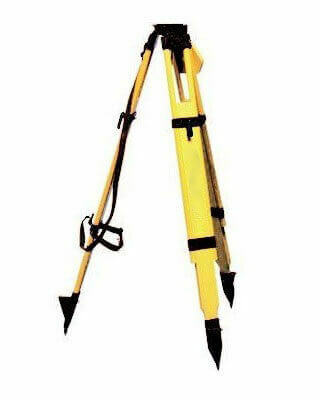 This surveying instrument tripod also features powder painted metal parts, double banded extension legs for extra stability and shoulder strap for ease of carrying to the job site. Heavy duty poly webbing shoulder strap.